The ladder to success is a lot easier to climb without the excess baggage of flabby arms, chests, and waist. Furthermore, the increased stress that arises from increasing business responsibilities can be more readily overcome by a man who is in peak shape than one who isn’t. Just as hard work in the business world can be its own reward, so is working out. In fact, shaping up not only ensures robust health and a longer life, but it improves a man’s ability to bring about and enjoy business success by looking good, feeling good, and making good impressions on business colleagues. 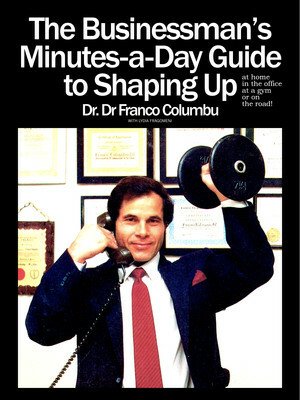 The Businessman’s Minutes-a-Day Guide To Shaping Up is more than another book of exercise and diet tips. It addresses the problems a businessman faces in finding time to exercise, in setting goals for training, and in changing eating habits that make gaining or losing weight difficult.